Cleaning the Craft Room! Craft room organization and exploring the tiny joy of my creative corner. I can’t believe it is already December 2nd! I have felt a shift in the universal pendulum the last two months. Time has been zooming by, changes are happening, and new beginnings are on the horizon. As the holiday season rolls in, I am looking at some past Christmas craft projects I’ve made, starting with my origami Christmas trees. :-). I’m still selling these on etsy this season too. But if you want to make your own Christmas tree more, check out the whole YouTube Video here. Here’s another great video I made, some waterless snowglobes! Excellent gifts that can last for years. :). Actually, now that I remember making these, I might make even more snowglobes this season! It’s amazing to think how these projects can all be updated. Don’t forgot Chalk Couture! I made this great sign for my mom. Like what you see? Want to buy some chalk couture? Want to join Chalk Couture? Pop me a question in the comments or contact me. Oh! And I can’t forget me Rice Crispy Wreaths! Etsy changed its payment system. I remember Etsy when it launched. I have been following the platform since I was seventeen (15 years ago), believe it or not. Crafting has always been my favorite hobby (who would have thought?!). I remember the strange tiny joy associated with it. This personal connection between the buyer and seller felt so original. There were rarely big time shops that brought in insane revenues. Etsy had transformed business. Just as ebay and Amazon did, Etsy had created a channel for anyone to start a business with enough creativity and grit. One didn’t need an understanding of inventory logs, profit margins, or any business logic. One just needed the desire to do it. I remember reading about a man who went from homeless to owning his own business. It was 13 years ago, he started a soap company on etsy. Just as Amazon and Ebay have intense merchant portals, Etsy will now be following in their footsteps. Even for me, selling on eBay isn’t something I do anymore. Remember the days when you would just put a tickle-me-Elmo up for auction on ebay and selling it for $500 during the Christmas crunch? Now, eBay has such a confusing payment system, I eventually stopped selling scrabble tiles on the site. I was selling scrabble tiles for a while there, but the selling and payments, the intense push to offer free shipping and other aspects made the site too expensive to sell on. Etsy is following in eBay’s footsteps. They are encouraging shops to offer free shipping during the holiday season. They have even said they will bump up products which offer free shipping. This is already going to make it more expensive for etsy shops. Now, instead of following the original search alogorithims, Etsy is urging their shops to cover their own shipping costs. If anyone wants to pop a comment down below about your new experience with the system, I’d love to hear about it! I can’t believe how fast this year has been flying by! With a new season knocking on the door, I also have some more (or s’more if you like those too 😉 ) DIY videos. A Dollar Tree opened up down the street from my house. Sadly, I am addicted to yet another thing besides coffee (…and wine, did I say wine? I meant chocolate). If you want to get your decor fix, but don’t have the money to splurge at a big name craft store, go to Dollar Tree! That’s how I was able to make this easy and quick craft. Only 3 dollars! I got the glitter pumpkins, jar, and even this cool leaf light thing for $3 total. Those cute, little pumpkins near the mason jar light are also from Dollar Tree. Even cooler, they light up with a multicolored show. Dollar tree has made it so easy for me to think of fun ideas on a whim. Here’s another idea with $1 materials. The pencils, sparkly green ribbon, and even the jar were all $3 total. Now you have that handmade with love gift for teacher. I got the red paint from hobby lobby with their daily 40% off coupon. (Haven’t heard of the Hobby Lobby 40% off coupon? You can use it EVERY TIME you go to HoLo, as long as the item is regularly priced. Never pay full price at HoLo again with this tip!). With the coupon, I think my paint was like fifty cents. I am still having fun with Chalk Couture too! I started doing LIVE FEEDS. So, if you want to ever get crafty live with me, chime in to chat about crafting or whatnot, be sure to subscribe to my YouTube channel and set the notifications for live feeds. You can see me fumble with these on my LIVE feed on YouTube too. Thanks so much for reading my blog! Thanks so much to all my customers/friends/family/followers for all the support with my crafting dreams! Like this project and want to get them delivered to you inbox? Sign up for the email and I’ll send you biweekly emails packed with DIY crafts, plus huge giveaways! More Brew & Craft Nights, DIY videos, and why I joined chalk couture! As summer ends and fall rolls in, the time has come to appreciate our hardworking teachers. Make this adorable apple mason jar pencil holder as a token of gratitude for the wonderful things teachers do for our children. In other news, my chalk couture adventure is still live and alive! With our first chalk night event launching this month, I am continuously amazed at the versatility of signing onboard with this company, not only as a “recruiter”, but also just a designer. People in the Chalk Couture Facebook groups are selling amazing pieces of art created with CC products. While it may not seem like it takes some skill, after a while of using the product, a designer can start producing brilliant work that only can be acquired through time and practice. Which brings me to my next point, selling chalk couture on etsy. You may be asking yourself some questions…. Can I sell Chalk Couture on Etsy? Yes. I contacted etsy before I signed up for chalk couture because this was an important aspect of my business plan. You can only sell finished products you have made with chalk couture stencils, chalkology paste, accessories, etc. However, you cannot sell chalkology paste, stencils, accessories, or any other items listed on your personal chalk couture website as an individual product. Can I market the brand name Chalk Couture on etsy? Yes. Etsy said go ahead and even call yourself a chalk couture designer on your site! It’s okay with them! You can say that you are making your products with chalk couture. In fact, it’s a great idea to give the chalk couture designers credit for the work. Will Chalk Couture products actually sell? Yes. And I highly recommend this if you are someone who is just starting an etsy shop. Below is the first piece of art I made with Chalk Couture. It was the only Chalk Couture item I had actually listed on my shop. It sold within 2 weeks. You can make a high quality product and pick up a design technique customers will truly cherish for years to come. These professional, silk-screened signs create long-lasting beautiful images sure to impress any loved one. Are you a crafting hobbyist? If this is a quick “yes”, then I would say right off the back that Chalk Couture is for you. You’ll get the 40% discount on all of their items, you will be part of subscription “club” in some ways ($20/month, one stencil per month plus online shop system). All you have to do to continue as a chalk couture designer is sell at least $150 PV (personal volume) in one of their quarters (about three months). In other words, if you purchase $150 yourself over the three month period, you will still be able to be part of the Chalk Couture family. Are you interested in starting a business? The term “business in a box” has been made about the chalk couture model, and I would say this is true. I know I will be able to sell more handmade items with just what I have purchased in the starter box. I already have plans for all sorts of other products I can make. The biggest benefit of using chalk couture is the images the company has to market. They have high quality images that make it easy to market the idea in a beautiful, presentable way. This has been especially helpful for my craft nights/facebook promotions/instagram posts. Do you want to start an etsy shop? Chalk Couture will help jump start this. Start with decor for seasonal times. If you especially want to start an etsy shop, I highly recommend signing up with me. I am starting an exclusive opportunity Facebook group that can request to join here. Here, you can ask me any questions you may have about Chalk Couture and also gain some insight as to what sort of support I can give you as you launch your business. For a long time, I’ve been wanting to help people start their own etsy shops, and for me, Chalk Couture is a way that I can finally do that for other people. Like this project and want to get them delivered to you inbox? Sign up for the email and I’ll send you biweekly emails packed with DIY crafts, plus huge giveaways! Thanks for reading my blog! As summer zooms by, I can’t believe how fast wedding season is coming and going. I am slowly dipping my toe into the world of Chalk Couture, creating products and YouTube videos to demonstrate this surreal crafting tool that makes my head explode. I was finally able to list my first Chalk Couture product on etsy. Chalkology Paste, Chalk Couture Designer Starter Kit Countdown! Why I started selling Chalk Couture, What is Chalk Couture? I am always looking for another product to make weddings easier for my beautiful brides and handsome grooms. Everyone loves the look of chalk at weddings, but what if your 4-year-old nephew goes up to the sign and smudges that chalkboard art you paid big bucks? Professional chalkboard artists can have a very large price range. Chalk Couture enters here. With Chalk Couture, you can make beautiful, professional looking chalk transfers that can be used again and again (while the transfers do have a shelf life of sorts, they will last long enough for numerous projects). The projects you make will look like chalk, but they will be permanent enough to last for decades to be treasured. There are a couple different ways that you can purchase Chalk Couture, or if you want to be a hobbist with extra Chalk Couture perks, you can always join the chalk couture club with me here. Just shoot me an email and I’ll write you back with all the details and what I can do for you. Why join with me? I am very excited about other entrepreneurs, especially those are trying to get their handcraft businesses off the ground, or are already running one, and kind of just want to network with people. I think Chalk Couture is a great place to start if you are trying to develop an etsy store. The stencils can give you endless ideas for products, especially during the off-season. Buy these cute stencils and make it through the low season between weddings/Christmas and get started on some seasonal product! When you join as a designer, you get a kit retailed at one $200 +, for only $100. Very well worth of the value in my opinion. You are also enrolled in a subscription with your first month free. This subscription sends you one new stencil a month, as well as keeps your online shop up and running. Designers also get 40% off on all retail prices in Chalk Couture, way worth it if you are just trying to do some crafty stuff and really end up liking the product. Even if you are going to just be a hobbist, I recommend signing up for the Starter Designer Kit, especially if you are planning a wedding, if you just sign up, you can get all your products for 40% off, and you actually get a 50% off coupon for your first order of Chalk Couture after you purchase the Designer Start Up Kit. Like it but don’t want to join the club? Buy Chalk Couture direct here. Want to sign up for 50% off your first order, plus the designer start up kit for only $100 + about $20 shipping? Then sign up here, reach out to me in the comments on youtube channel, or facebook, or wherever, and I can get you started on your Chalk Couture adventure! Get started in the Chalk Couture Club! Click here if you are ready to join the Chalk Couture family! Want to know more as to why I decided to join the Chalk Couture family? Check out my YouTube video about it! I LOVE the new FabFitFun box for the Summer 2018 Season! 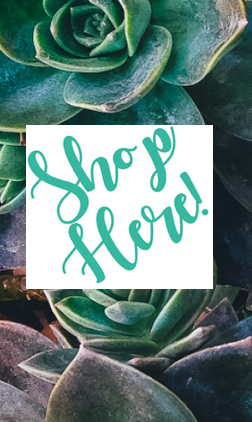 So many amazing products and I was so surprised by the value – – -they even include a FOREO face cleansing tool (an $89 value, my subscription box only cost me $40 with a $10 off coupon! ). The box easily included over $200 worth of products, if you watch my video above, you will see the breakdown of the prices. Amazing stuff! I was not compensated for my subscription box review, nor given any goods or exchanges, so my word is my own here! The scent of BBQ lingers in the air this time of year. The time has come to fire up your grill and drink a nice glass of ice tea on a patio somewhere. Time to celebrate Dads, America, sunshine, root beer, ice tea and ice cream too (of course) . I recently had an order where I made some toppers being used as place cards. The toppers turned out so cute and I thought about how I haven’t made a cupcake tutorial yet! I love how these adhesive dots can create this 3D edge to crafts, really gives it that sleek and professional look. 🙂 If you like this design and want to order something similar, you can send me a message here. So, as you know me, I couldn’t get my mind off of cupcake toppers. I started messing around with the dots and toothpicks, and the next thing you know I made this fantastic cake topper for my naked cake. Who would have thought. 4th of July Cake Toppers! View How to make 🎂 cake toppers and cupcake toppers 🍰 on Darby Smart. Check out the full video tutorial on the DARBY app!!! Speaking of Dad Season, I am happy to announce our next giveaway for one customized beer tote! No deadline has been announced yet, but enter as soon as possible! Follow on instagram or Facebook to see when the big LIVE drawing will be when yours truly does a face reveal (yikes!) and announces the winner! Mother’s Day is in six days! Are you ready? I didn’t know what to do for Mother’s Day but I thought using my We-R-Memory Keeper FUSE tool could help me! All of sudden, I woke up after a long night and only had these confetti, embellishment filled clear shaker cards in my mind. I know every crafter has those moments, when you neeeeddddd to make something. The FUSE tool is originally meant for creating customized pockets in your scrapbooks. I have never been into scrapbooking, but once I started experimenting with this tool, I finally understand the obsession. Now, I know why 20% of most craft stores are devoted to scrap booking. :-). To say that I fused too much is an understatement…. Like all the fun embellishments and papers?? I got this island/tropical themed scrapbook kit from Designed by Annaliese on etsy! I went nuts with the FUSE tool. I don’t have a binder yet to put my scrapbook pages in. I will say being able to include mementos and fuse them into the pages is a huge plus to this tool. (I still need to go to the store and get the Crop-A-Dile, it makes perfect punches for three ring binders, and also can help install eyelets (which will be very useful for shaker tag in another, future blog post). The peak of wedding season is upon us, and I hope we are all getting ready! I am super proud to announce the launch of my first invitation product, available on etsy. Everything is finally coming together in terms of commercial licenses for fonts, wording, design ideas and enough experience in the business to be able to produce a stellar product/experience I know brides will love. PSST— want to win some of these for your bridal shower?! Be sure to enter the giveaway on the Facebook page and Instagram! Just tag a friend, like the page, and/or start following! Winner will be announced Tuesday, May 1st, 2018. I’m so happy and blessed to be able to run my etsy shop. In terms of creativity and entrepreneurship, these last four years building up the business to where it is now has been such a life-changing journey, and I can’t be more grateful for my wonderful customers, family, and friends for all of their support. In the beginning, it was just me folding paper cranes for weddings. I’ve shared my etsy experience with my brides, moms-to-be, and others celebrating the special moments in life. What about you? Have you ever thought of starting your own etsy shop? Sometimes they do, sometimes they don’t. Sometimes they don’t know what etsy even is. If they don’t, I always tell them they should. We are all talented and unique people. We are living in an amazing time of internet and connection. If you are looking to create your own extra income on the side, this is a monumental time in human history when it should be easy. I started with paper cranes and the desire to have my own business, to create something that was entirely mine. As I grow more, an overarching dream for passion is something I want everyone to have. I’m going to start posting more crafting videos targeted to inspire the inner etsy shop owner in all of us, or even the DIY bride. I can’t name how many different products I’ve sold on etsy, some that customers have really loved, but stopped selling so I could focus in another direction. These painted signs are a perfect starter product for an etsy shop or just an amazing way to customize a sign for your wedding. You can use a Cricut Explore to cut out a vinyl decal, or if you don’t have a die cut machine, you can always use alphabet stickers to customize the words you want. This technique is very simple starting with a base coat of white. Wait for the white paint to dry, I waited one day to fully dry, then place the stickers/decal over the white and start painting the color you want over the top. Let it dry for one day, then take off the decals. You’ll get an amazing sign like this one! Whether you are a DIY bride looking to make something unique for your big day, or a creative type trying to find a craft you can master and sell, this sign might be just what you are looking for! Buy Chalk Night Tickets Here! I am now a chalk couture designer!